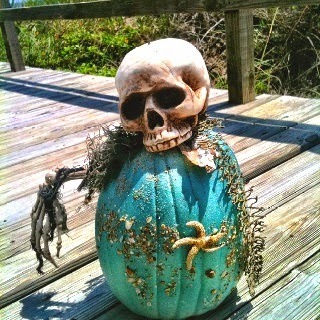 Everything Coastal....: Coastal Pumpkins? 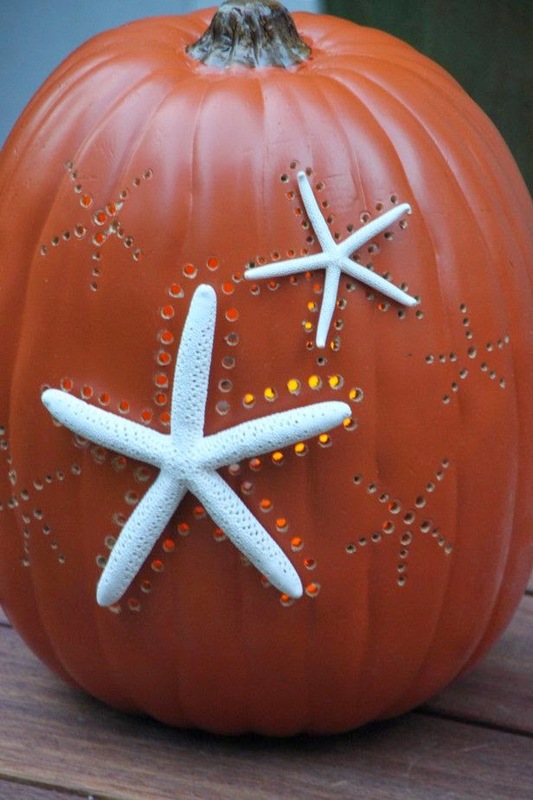 11 Ideas to Try! 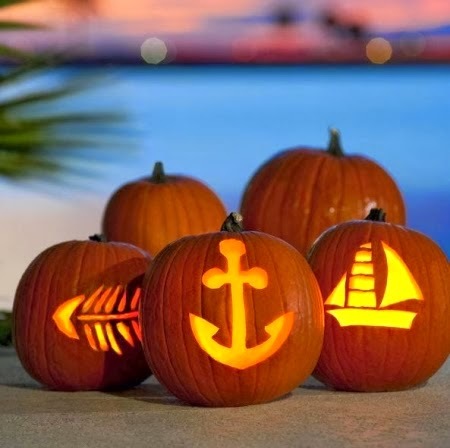 I have been saving images and ideas for over a year on our Pinterest Board "Autumn on the Coast", and am inspired to try out my creativity (and Tom's carving skills!) 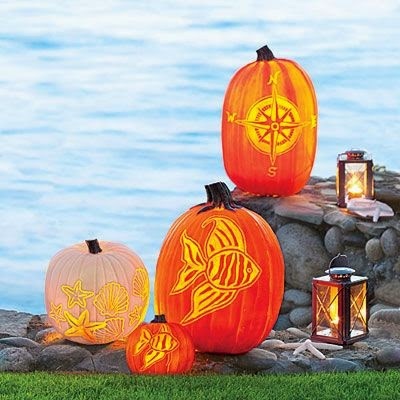 Especially now that we have moved to Half Moon Bay - home of the World Famous Pumpkin Festival, I think I am ready to try my hand at carving something fun for Halloween with a coastal twist! 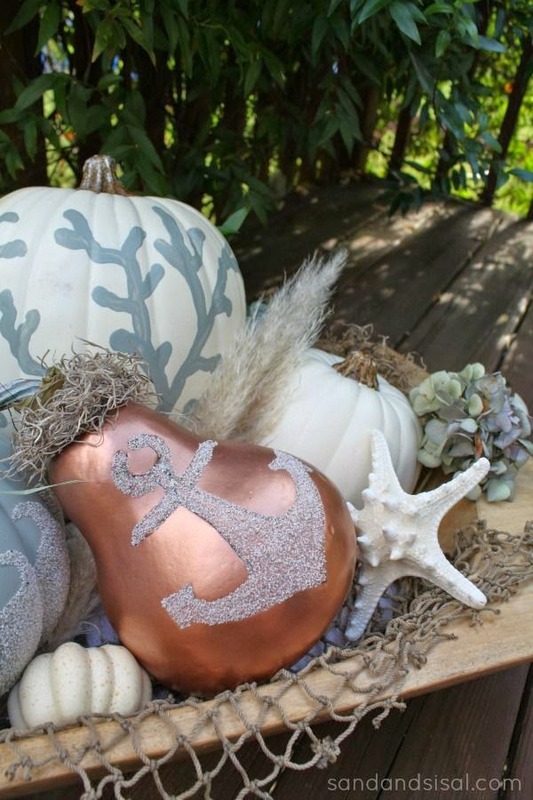 Coastal Living Magazine - they even have free templates that you can print out and use! 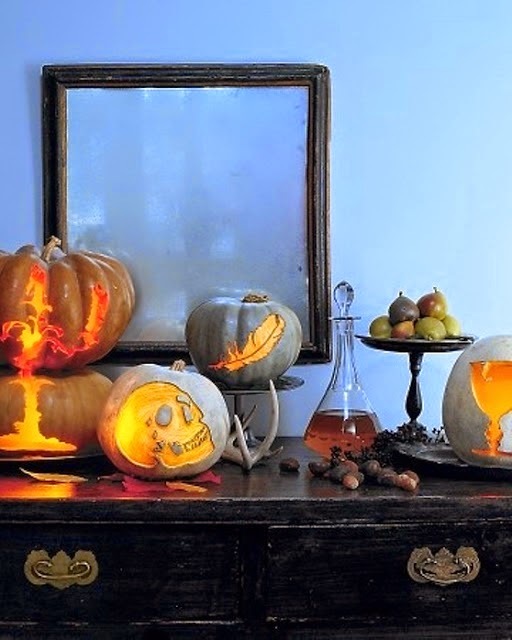 Gorgeous Display from Sand and Sisal, this might be more work that I can manage, but they are soooooo cool. 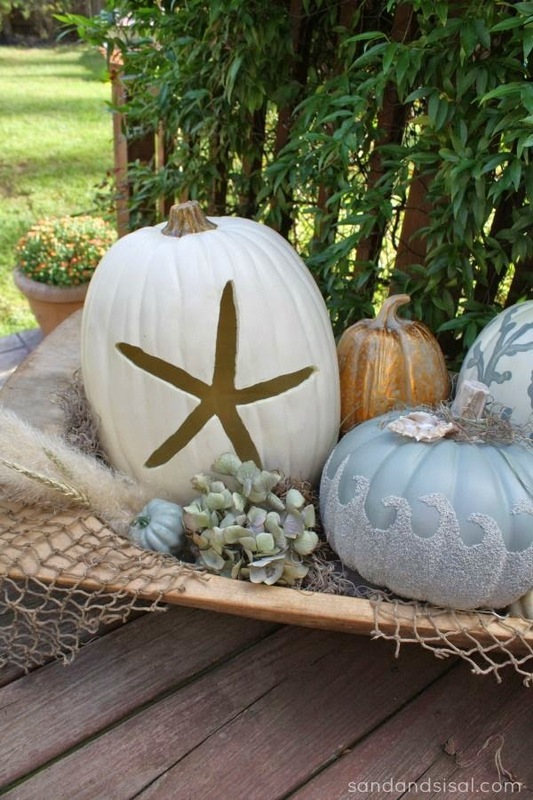 More cool ideas from Coastal Living - and more Free Templates! 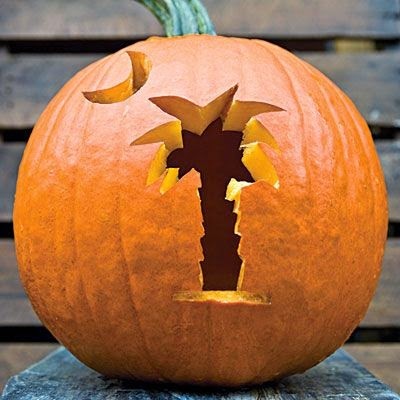 A South Carolina Pumpkin from Southern Living Magazine... maybe I could adapt it with our California Palm Trees? 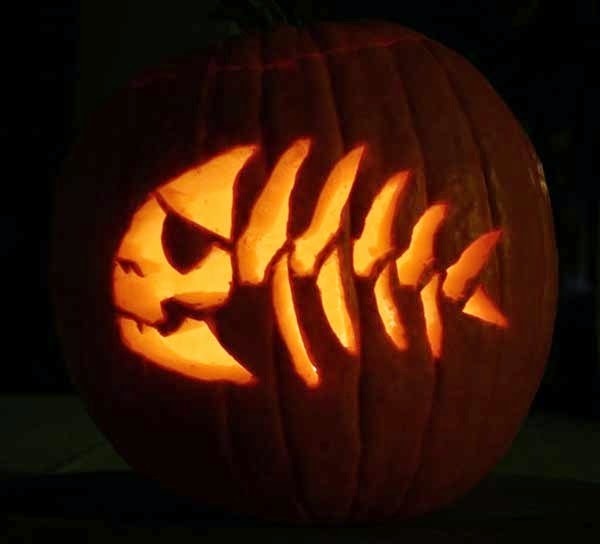 So dang creative! Check out the instructions at Sand and Sisal. 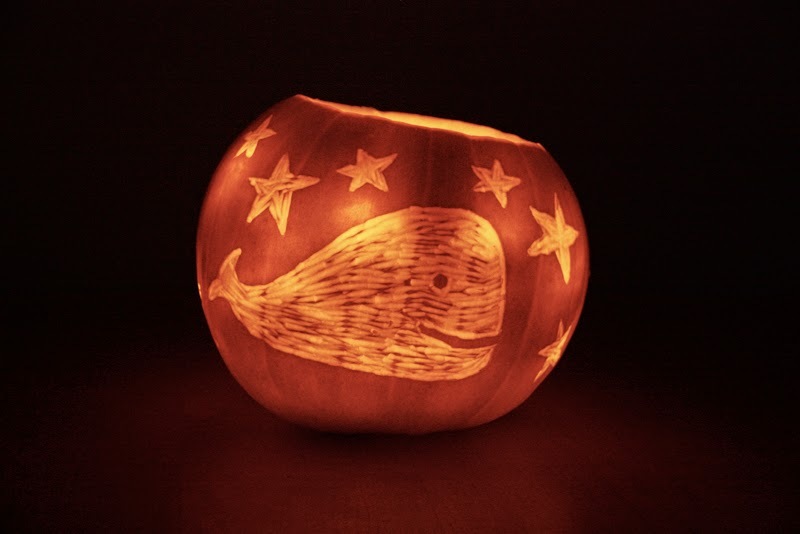 And of course, an adorable whale pumpkin! 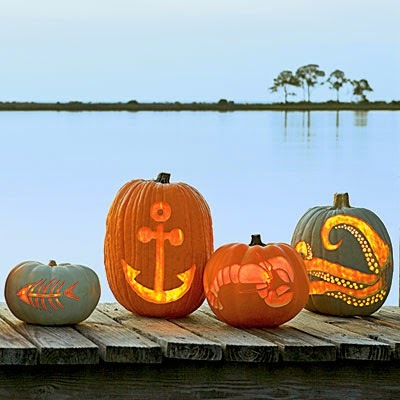 Images and instruction can be found at Quaint Living - so cute, and she has a ship pumpkin on her blog too.